Adults and children aged 7 years and up need to put this (recently refurbished) wonder park on their bucket list. 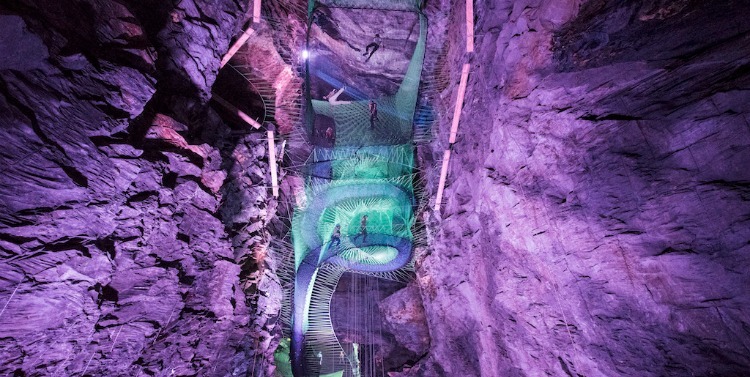 Once a Victorian mine, Bounce Below offers bouncers the chance to zip down slides more than 20m long, bounce across 10 interconnected levels, on suspended trampolines 55m above ground level. The neon colourful lights cast eerie, exciting glows on the dark cave walls, creating the perfect ambience for an adventure unlike any other. According to Rough Guides, a whopping 500 tonnes of rubble had to be removed from the site so that the trampoline park could take over, a feat that took over 5 months. Once the trampoline nets were bolted into place, thirty lucky, (or should we say brave?) local kids got to test them out, according to DOGO News. Entry currently sits at around AUD $42 for adults, $34 for kids & teens, and just $8 for wimps who want to spectate and sit out of the fun. 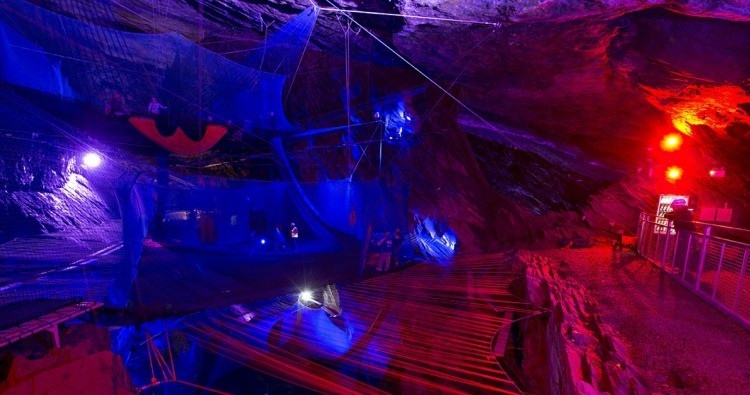 If you can’t quite make it to Wales but are now finding yourself in the mood for a good bounce, we recommend Sky Zone, Boing Central and Ultimate Sydney. Diggerland Amusement Park- Where Kids Ride Bulldozers!